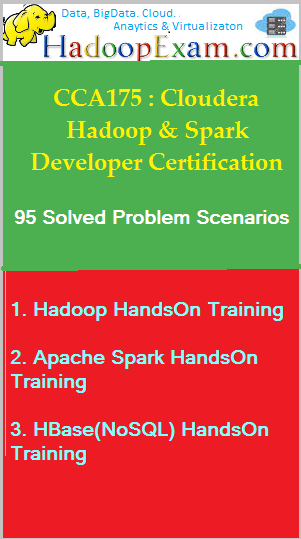 Welcome to the HadoopExam Hadoo/BigData Professional Training Course. 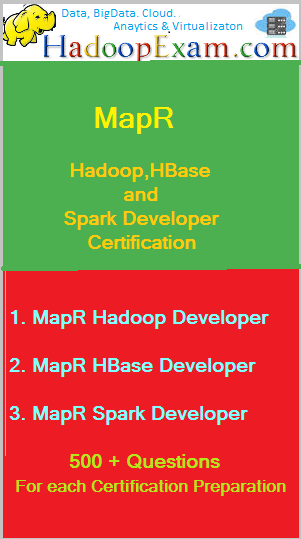 Please follow the below steps to view the training contents step by step. You can download Training PDF Resources only after login. As soon as more modules will be added or existing updated you will access from here. 2. What are the Requirement ? 1. What is Pig ? 4. When should Pig Used ? 5. Storing back data to HDFS. 4. Example 3 : Another way of selecting columns using two dots ..
1. What is Hive ? 1. What is NoSQL ? 9. What is Polyglot persistence ? Record, Map, Array, Union, Enum, Fixed etc.